Fans can finally experience the world of Ivalice like never before with FINAL FANTASY® XII THE ZODIAC AGE, an HD remaster of FINAL FANTASY XII. 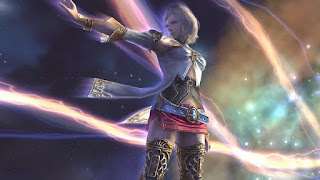 Announced for the PlayStation®4 computer entertainment system, the title will give western audiences the first opportunity to experience the Zodiac Job System, a 12-job character progression system first introduced in the 2007 title, FINAL FANTASY XII INTERNATIONAL ZODIAC JOB SYSTEM. www.esrb.org for more information about ratings.